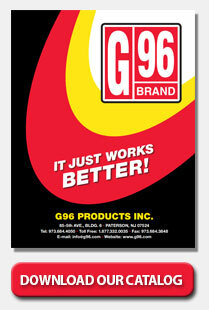 PATERSON, N.J., Oct. 17, 2016 — G96 Products Inc., a leading supplier of gun lubricants and cleaning products, announces it has received U.S. Army certification for its new Bio-CLP Synthetic Gun Oil, opening the door for its use by America’s soldiers. Bio-CLP is the first bio-based gun oil from a gun products supplier to earn the Army’s stamp of approval. Firearm products need to be at least 49 percent comprised of renewable resources to be recognized by the USDA’s BioPreferred® program as bio-based. G96 Products’ Bio-CLP Gun Oil was lab-tested to 51 percent bio-based content. As such, it exceeded the Army’s requirements to receive Military Specification MIL-PRF 63460E(4): Cleaner, Lubricant and Preservative for Weapons and Weapon Systems. According to the acceptance letter from the U.S. Army Research, Development and Engineering Command, G96 Products’ Bio-CLP Gun Oil performed “equal to or better than the control CLP on an M249 weapon on all tests,” which included exposure to salt spray, extreme cold and very fine dust. The Bio-CLP Gun Oil experienced zero stoppages at a rate of fire exceeding 650 rounds/minute, against a criterion of no more than five stoppages. firearms. For more information, call 973-684-4050 or visit www.G96.com.